The crew at NetherRealm Studios have just released the latest (and seemingly last) batch of downloadable characters for 2015’s Mortal Kombat X. They are also releasing a new disc version too which includes all post launch content released so far inventively named Mortal Kombat XL. The game now has an impressive roster of 35 characters each with 3 fighting variations to choose from, which is a lot of content. So here’s a quick rundown of the latest fighters to be added. The Xenomorph from Ridley Scott’s Alien franchise joins the MK crew to hug some faces. 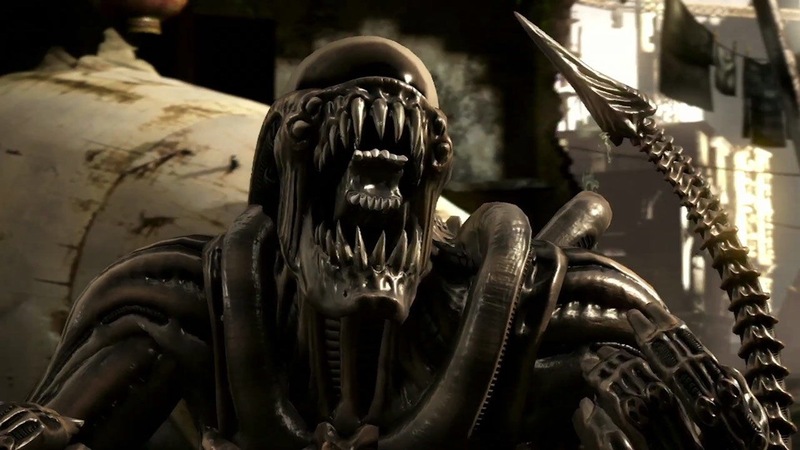 Alien is actually a pretty good fit for a fighting game since he specialises on fast up close combat and isn’t afraid to dismember a fool much like many of the MK cast. As with all the guest characters they give a bit of context as to why they show up in the world of Mortal Kombat. In Alien’s case some of Outworld’s denizens (possibly missing series veteran Baraka) uncovered the infamous alien egg that had lay dormant in a cave and well… you know the rest of this story. Like in the movies the alien takes on some characteristics of its host so in this case it gains retractable arm blades and a mouth full of sharp Tarkatan teeth. 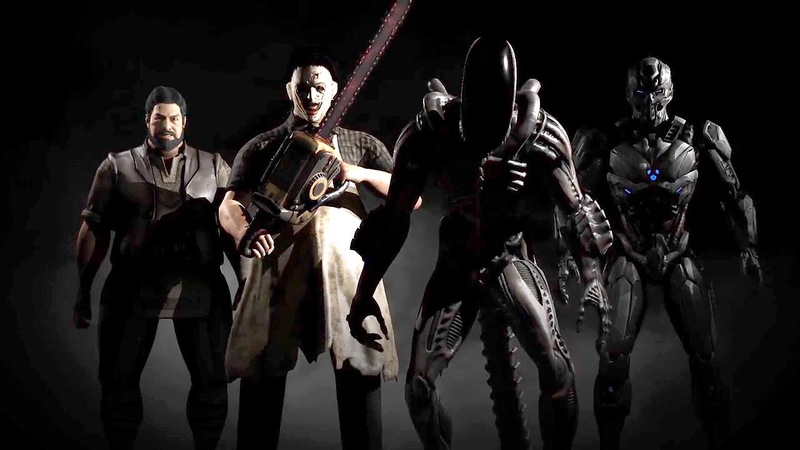 As with all fighters in MKX, Alien has 3 fighting style variations. First up Acidic, which gives you access to some acid spewing moves which can inflict damage over time if your opponent gets hit. Tarkatan which gives you some of Baraka’s classic moves like his chop chop blades attack and some different combos using said blades. Finally you’ve got Konjurer which changes your appearance to look more like a Queen Alien and gives you the ability to spawn alien eggs which shoot out facehuggers to stun your poor foes. This last variation ended up being my favourite just because of the facehugger traps you can set. They do a pretty good job fitting in as many movie references as they can, the Alien Queen shows up in one of the fatalities to skewer and rend your opponent in half. If you face off against Johnny Cage (MK’s resident movie star/martial artist) he says the famous “Game over man!” line before the fight begins. 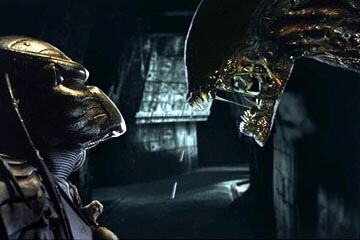 And now that Alien is in we can finally settle the age old battle of Alien vs Predator as they fight it out in Mortal Kombat. 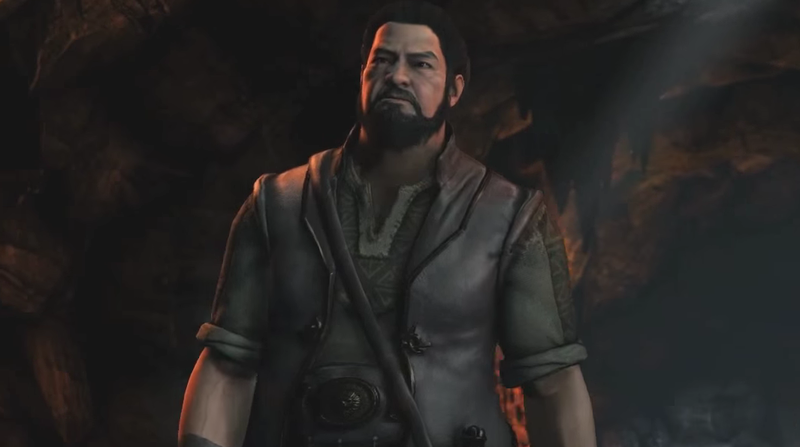 Bo is the drunken martial arts master who trained some of Earthrealm’s greatest fighters like Liu Kang and Kung Lao. He’s mostly played as a joke character since he’s constantly drinking and he acts like he’s seen it all. He also has a penchant for puking and farting on his opponents. But if you dig a little deeper he’s actually a pretty cool character with a lot of quick strikes and tricky moves to keep your enemies off guard. In his Dragon Breath variation he can spit boozy fireballs at your opponents or set traps by lighting the floor on fire. Bartitsu gives him a wooden stick which gives him a little more range to his attacks and some extra special moves. his main variation seems to be the Drunken Master though. This allows you to drink from your special flask which improves most of your other moves, the catch is that if you don’t stop and top up your alcohol levels before 10 secs are up you’ll puke and be vulnerable to counter attacks. This variation was the most fun to mess around with but you can tell this character has a lot of depth if you have the skill to find it. He also has a pretty cool movie reference if you pit him against Predator, Bo’ Rai Cho channels Arnold and calls him “One ugly mother fucker” before the fight begins. The creepy hillbilly murderer from the Texas Chainsaw Massacre movies brings his chainsaw and a few of his dead skin masks into combat. Leatherface’s bit of story justification is that he’s sent by his brother to find the best kind of meat for one of his special chillis and he wanders through a portal into Outworld. Seeing all of the new types of creatures and demons he sets off to find the tastiest of all. Obviously his moves centre around his Chainsaw so he has pretty good range, his attacks start slow so he’s risky but has good damage potential. The Killer variation allows him to use a berserker stance from which he can charge across the screen with his saw or launch some repeated strikes pretty quickly. Using Butcher gives you access his hammer which can stun the other fighter giving you plenty of time to set up your next combo. And in his Pretty Lady variation he gains the ability to throw his chainsaw which allows him to attack no matter where the opponent is. I found Leatherface a bit one note overall, a lot of his attacks look the same because he really loves that chainsaw and he doesn’t have a lot of personality because he’s a mute psycho killer. It’s all shouting and chainsaw noises which for me got old pretty fast. Sub-Zero as a secret 4th variation which you access by double tapping up on the D-pad then pressing Triangle when you’re selecting your variation. Their story is that the government was conducting experiments and trying to use the cyborgs as a force for good but it went wrong and now there are 3 cyborg killers on the loose who think humans are the inferior species. Any long term MK fans should be familiar with these guys, each variation has similar normal moves but totally different special moves. 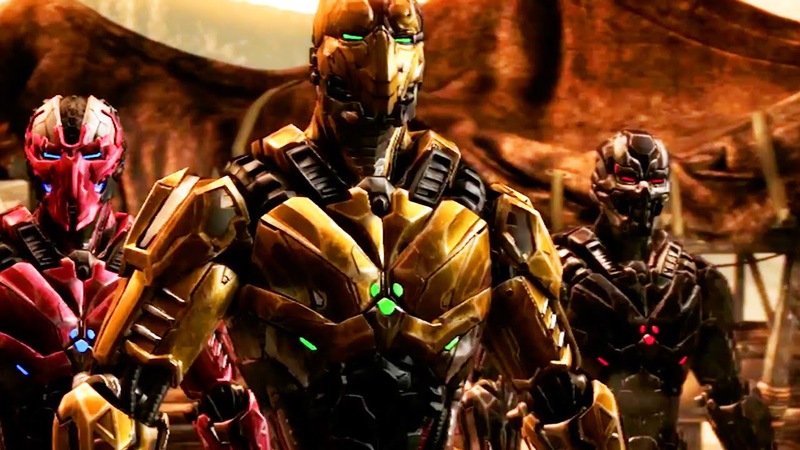 Cyrax has bombs he can throw out, a jumping throw to catch people out of the air, a buzz saw attack and his signature energy net to trap people for a free hit. Sektor has missiles… tonnes of missiles, a flamethrower and his teleport uppercut which is extremely satisfying to land. Smoke has his harpoon to reel in opponents and lots of teleport shenanigans. Cyber Sub-Zero shares a lot of special moves with his human counterpart but also has a quick diving kick and drones he can summon to power up combos and specials. I’m having the most fun with Triborg so far, each variation does feel like different character but I always did have a soft spot for the Cyborgs so maybe I’m biased. Overall I’m extremely satisfied with this latest group of characters and can’t wait to have some friends over so we can finally settle some horror movie grudge matches. Whoever wins… We lose.